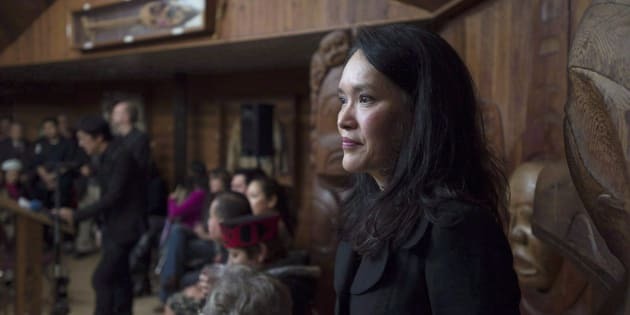 NDP MP Jenny Kwan says the violent clashes between white nationalists and counter-protesters in Virginia earlier this month point to increased insecurity for all minorities in the U.S.
"What I'm very pleased to be able to say . . . is that the rules on Canada's immigration system continue to be enforced." Nearly 10,000 people have been apprehended at the border since the start of the year as they've sought to enter Canada in order to claim refugee status — almost equivalent to the total number of claims filed for all of 2013. Of those who have arrived this year, nearly 7,000 have arrived just since July, the vast majority at an unofficial crossing point between Quebec and New York. Trudeau said one option being explored is accelerating the process to give them temporary work permits so they'll be less dependent on the temporary social supports in place. However, Conservative immigration critic Michelle Rempel blasted Trudeau's handling of what she called a crisis. She said the opposition has been raising the issue for months, since the arrivals at the border numbered only in the dozens, but the government's response continues to fall short. "A photo op after a meeting will not cut it," she said. "The prime minister of Canada, in order to help the world's most vulnerable and to salvage the Canadian asylum claim system needs to come up with a credible plan and he needs to explain it to Canadians." Many of those who've arrived in Canada have been propelled by changing immigration policy in the United States that began with the inauguration of President Donald Trump and his first attempt in January to block immigration to the U.S. from certain predominantly Muslim countries and halt the refugee program. A group of asylum seekers wait to be processed after being escorted from their tent encampment to the Canada Border Services in Lacolle, Que. on Aug. 11, 2017. In response to that move, Trudeau tweeted: "To those fleeing persecution, terror & war, Canadians will welcome you, regardless of your faith. Diversity is our strength #WelcomeToCanada." The NDP also say that Trudeau's current messaging is just as misleading. He repeated Wednesday that those crossing irregularly into Canada will see no special consideration given to their file. But to say there's no advantage to doing so is unfair, NDP immigration critic Jenny Kwan said. If they go the legal way, she said, they'll be turned away because of the agreement between Canada and the U.S. that precludes people from making asylum claims at official land border crossings. Under international law, once they've crossed the border, Canada must process their claims, she noted. The Liberals are also continuing their outreach in the U.S. to try and dispel myths circulating there about the Canadian immigration system, Trudeau said, touting Liberal MP Emmanuel Dubourg's trip to Miami to meet members of the Haitian diaspora there.